The Great Lakes are together the largest body of freshwater lakes in the world, and have a variety of ports of call to explore. 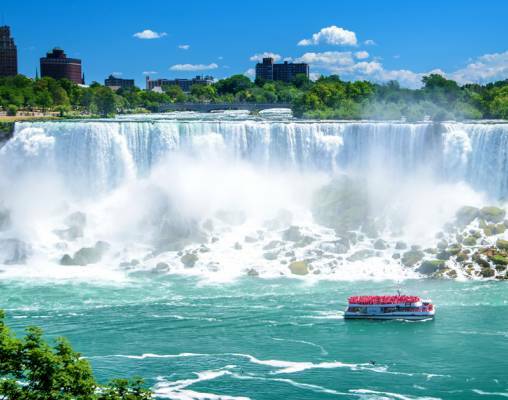 On your first stop, you'll enjoy a thrilling visit to spectacular Niagara Falls. 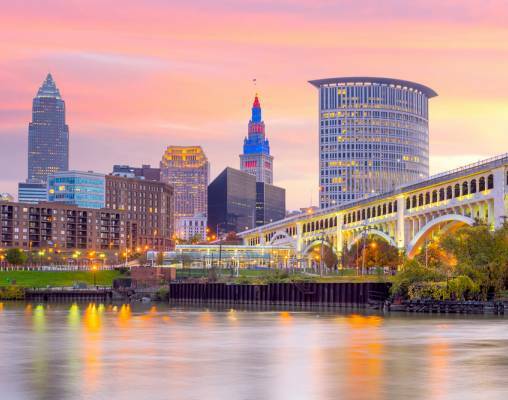 Then you'll tour Cleveland's Rock & Roll Hall of Fame and Detroit’s Henry Ford Museum. 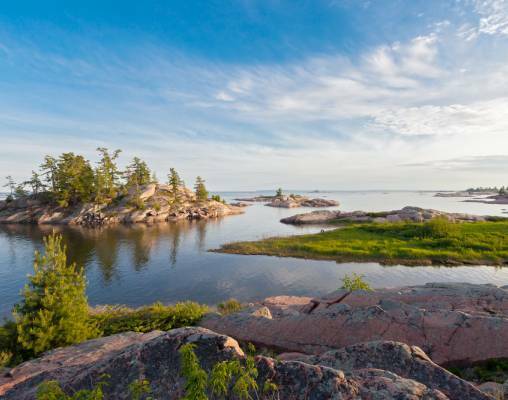 Cruise for an entire day on scenic Lake Huron, home to more than 30,000 islands. Spend a fascinating morning with the Ojibwe people at pretty Georgian Bay. 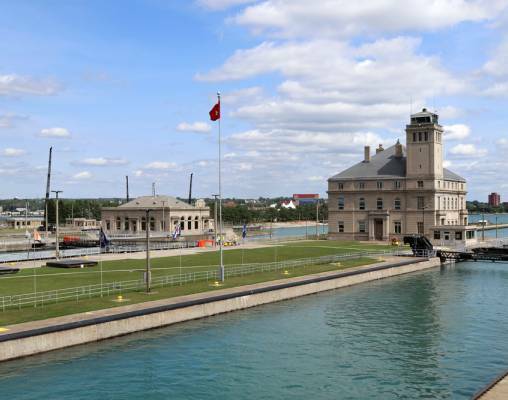 Transit the Soo Locks into massive Lake Superior, the largest of the five lakes. 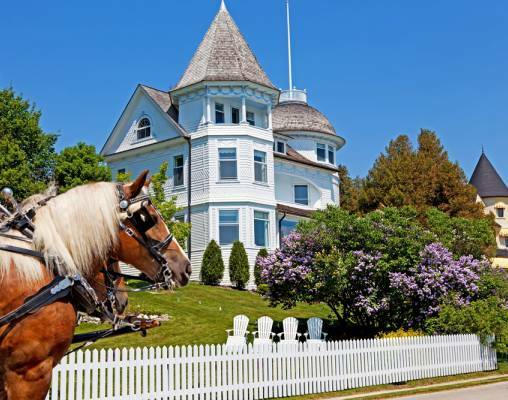 Sail across Lake Michigan to charming Mackinac Island. 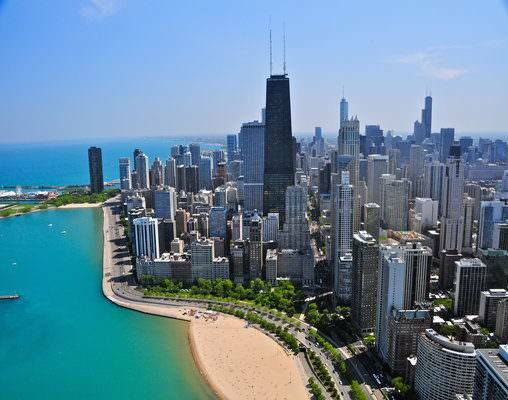 Then enjoy a relaxing final day of cruising on Lake Michigan before your arrival in Chicago. Here you have a free day to explore on your own. Finally, board the Lake Shore Limited for your overnight trip to New York City. The day is yours to explore more of New York City. Head to the observatory for the famous Empire State Building or Liberty Island to see The Statue of Liberty and Ellis Island. Walk along Fifth Avenue. Visit the United Nations building, the Metropolitan Museum of Art and pay tribute at Ground Zero. Make your way home via rail or air from one of New York’s three airports. New York hotel will be the Paramount Hotel. Amtrak accommodations are available in Roomette and Bedroom. Roomette accommodations include a private cabin that features two comfortable seats beside a picture window during the day, which converts to an upper and lower berth at night. Bedroom accommodations feature a sofa and chair by day and upper and lower berth by night. Bedroom accommodations also include a sink and self-enclosed toilet and shower. The agile M/V Victory I is full of elegance and designed with a bright, modern touch. The ship offers plenty of spacious areas for you to take in the surrounding views, including open-air lounges. The ship's smaller size makes it nimble enough to navigate canals, locks, and quiet bays. Your excursion includes luxurious amenities, including wine, beer, and spirits, and an attentive staff ready to cater to your every need. You can even learn more about your surroundings from onboard specialists and local tour guides at your ports of call. Enter your details below if you would like to be notified when 2020 dates and prices are available for Great Lakes Grand Discovery. Prices are correct at the time of publication, however are subject to change at time of booking. Price includes shore excursions in each port of call; wine, beer, soft drinks, and spirits onboard ship; Wi-Fi onboard ship. Port taxes of $429 per person are not included. Gratuities of $15.50 per person, per day while cruising are not included.